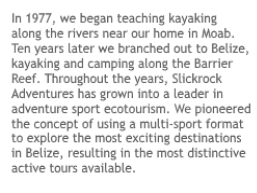 The Macal River, which we run a section of on our Belize Adventure Week trip, has a long history as part of Slickrock’s past trips and itineraries. Slickrock’s founder Cully Erdman led a team on the first complete kayak descent of the river’s stunning canyon around 1990, with only 2-3 portages around the bigger Class VI drops. An earlier expedition had traveled down the gorge with inflatable kayaks, but it took them 3 days because they had to portage virtually every rapid. From this experience, Slickrock began the first raft runs down the second half of the gorge, then recently made accessible by a road down to a new hydro plant which also dried up the river above that point. The run was incorporated into Slickrock’s new Adventure Week trip in the early 90’s. The new hydro-electric project, which has now added a second power plant, incorporates a large holding reservoir in the upper reaches of the drainage which then release water according to a schedule for electricity production. The water is funneled through a tunnel that contours along an elevation while the river bed falls through the gorge, then the water is dropped back into the canyon at the hydro plant where the stored pressure creates the necessary conditions for power production. To us river runners, this has been a travesty as we have lost a long section of whitewater. The environment has also suffered, as the holding reservoir has flooded a large area of pristine rainforest, including a rare nesting area for the Scarlet Macaw. A long battle against the developers was lost in creating this project. Now, a second diversion and power plant has been completed (just last year) which has dried up the section of river we used to run with our rafts and kayaks for Adventure Week. The Macal trip was Class IV-V whitewater and a very technical, low volume river run with several portages. We flipped rafts nearly every run while threading through tight rapids, steep chutes, and several waterfalls. But the run was made safe because it is a ‘drop-pool’ river, which means every big rapid ended up in a quiet pool of water where we could collect and regroup all the rafts. 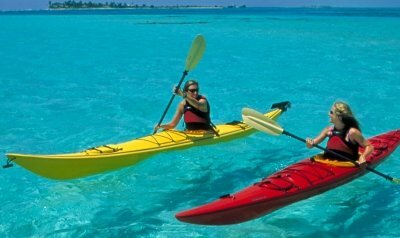 Scouting was necessary at many rapids, and we employed safety kayakers on every trip. It was certainly a high adventure trip! However, the Belize Electricity Board began a new water release program a few years after we began our trips, where they started releasing water only at nights for power production during peak usage times. So, we ended up being able to run the river only during rainy periods when enough overflow and input from other tributaries provided enough water. We were only able to run the river about half the time after that. So after a couple of years struggling with the erratic flows, we quit running that stretch of river and went to the Mopan River in kayaks. This year, we have moved back to the Macal and are running an easy stretch below the second, new power plant. sad to see the fate of the macal..
sadly the Zambezi is slated for the same fate…im interested in linking Slick Rock to my New website due to be completed soon.